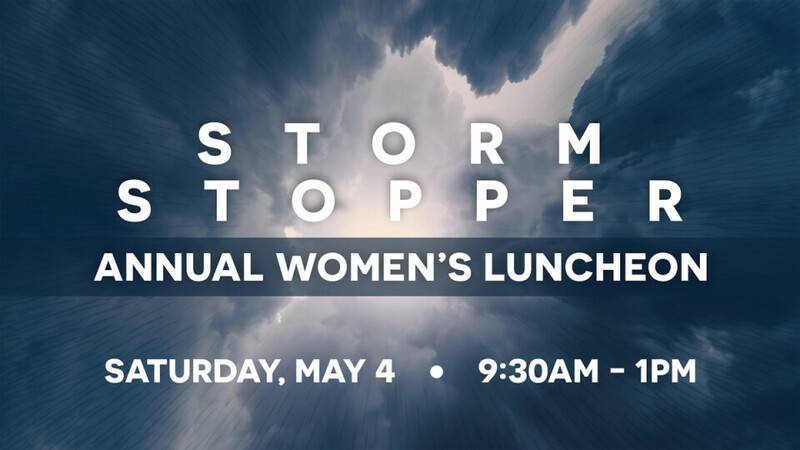 Join us Saturday May 4 from 9:30am-1pm for the Annual Women's May Luncheon! We'll learn through worship, prayer, inspiring teaching, and time with other women how to let The Storm Stopper, Jesus Christ, calm any storms in your life. Tickets are $10 and are available before or after services throughout April. For more info, contact Cheryl Acevedo at or call the church office at 239-574-7161.